The Cocker Spaniel is happy, smart, gentle. He is a merry, well-balanced dog that is capable of considerable speed and great endurance. Despite their small size, the Cocker Spaniel is still an active Sporting breed that needs daily exercise. Regular brushing and a trim every few months helps keep the coat free of mats. Cockers are intelligent, gentle dogs that thrive as part of a family. 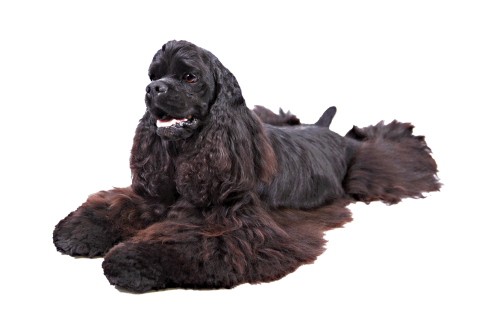 Cocker Spaniels can be black, black with tan points, parti-colored or any solid color other than black (ASCOB).